Not only is Steph Curry a champion on the basketball court, but he boasts the courage of his political convictions, freely calling out President Trump and powerful sports CEOs alike. In an essay for The Players’ Tribune titled “This Is Personal,” published on Women’s Equality Day, Curry turns his attention to the gender pay gap. In invoking his girls, Curry treads on tricky territory—the eye-roll-inducing “as a father of daughters” line some politicians have come to love just as much as the empty “thoughts and prayers.” It shouldn’t take fathering daughters or marrying a woman (or, for that matter, having a sister) to be an empathetic man who opposes and works to fight sexism. Knowing what is right and just should not be based on a man’s personal connections. But Curry is the rare guy to pull this narrative off, in part because he acknowledges the cliché, saying that his wife and daughters aren’t the only reason he believes in women’s equality and closing the pay gap. “For my whole life, really, I feel like I’ve been receiving this education on what it means to be a woman in America,” he explains, thanks to his “incredible and fiercely principled” mom, Sonya. But he is also open about the way having daughters has amplified what sexism means to him. 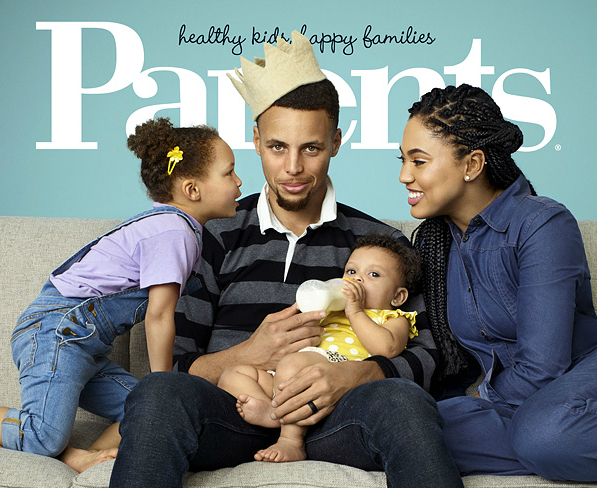 As much as we wrinkle our noses at the “as a father of daughters” lip service, Curry’s take is a reality for at least some men: having daughters can be a game changer and a paradigm shifter. Considering the world their daughters will grow up in can spark a new sense of action and engagement around the pay gap and women’s equality. Ideally, it wouldn’t be the only inspiration for men, but if it happens to be one, then perhaps we should all welcome it. As men are still paid more and occupy more positions of power than women, it is incumbent upon them to be allies and to use their voices to advocate for women. In some cases, it may make all the difference. Women can and should advocate for themselves. But men also need to use their privilege to give women opportunities to shine. Consider San Antonio Spurs assistant coach Becky Hammon: She was the first full-time female assistant coach in the NBA and was famously hired and championed by legendary Spurs head coach Gregg Popovich. Earlier this year, she was reportedly considered for the head coaching post with the Milwaukee Bucks—and while she didn’t get the job, she was recently promoted by the Spurs. Hammon is undoubtedly qualified and prime for these posts, but without the support of a man in power, she likely never would have gotten the chance to show it.